Cycling, running, swimming and canoeing is apparently not enough these days so my buddy Slatts proposed a new challenge over a few beers last year that would challenge our comfort zones in a new way. 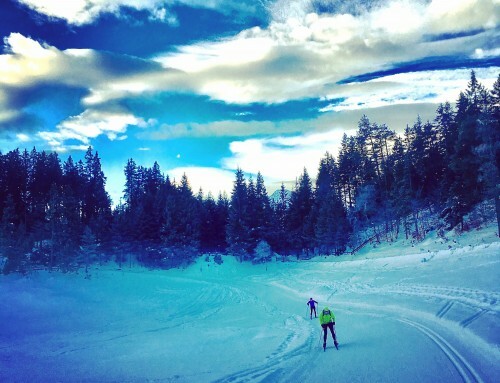 We found ourselves in Seefeld, Austria, in December, getting a lesson on how to Nordic Ski Classic style. It didn’t go well. The instructor didn’t take us seriously and after a day or so of getting nowhere very fast, I declared myself out. 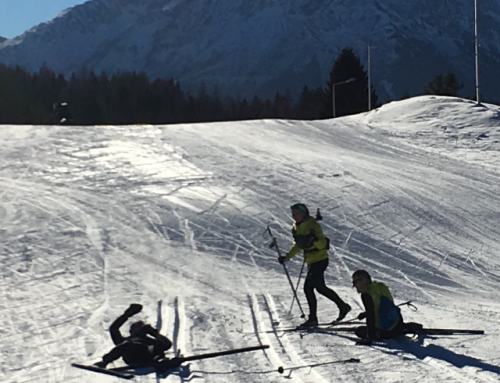 Johnny and Slatts remained optimistic, despite not being able to descend the equivalent of an alpine baby slope without recreated a scene from Bambi on Ice. The chaps persuaded me to persevere and reminded that it would be a few days of hard graft for a lifetime of memories. After sleeping on it, the Arctic ‘dream’ was back on. You only learn if you fall. Thankfully, things did start to click. 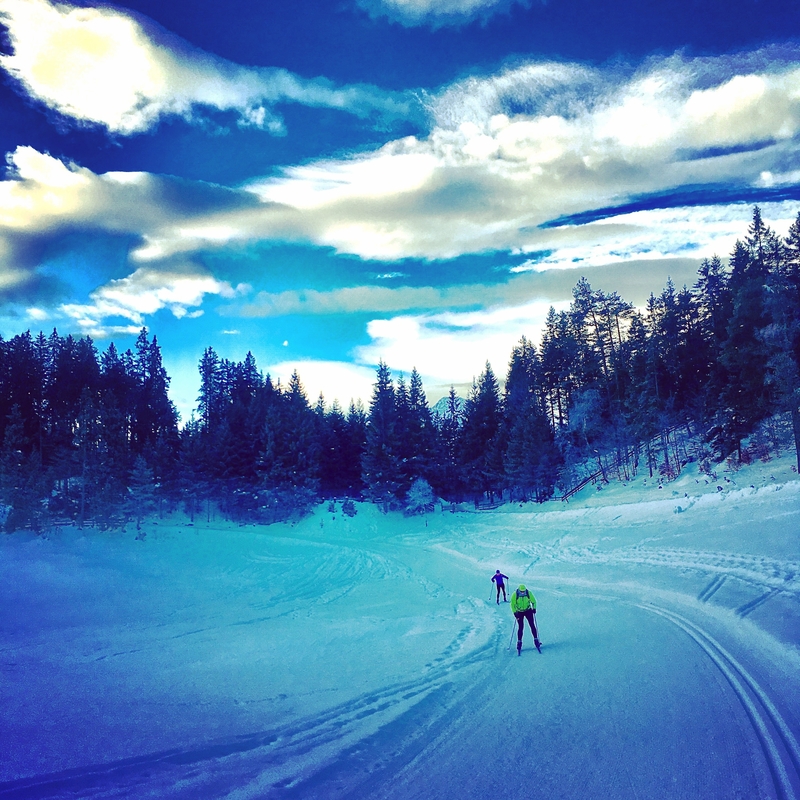 Balance, weight and power transfer, timing, strength and above all, enjoyment, seems to fall into place during a trip to Austria in early 2017. Read more about the Click Point in a previous blog. 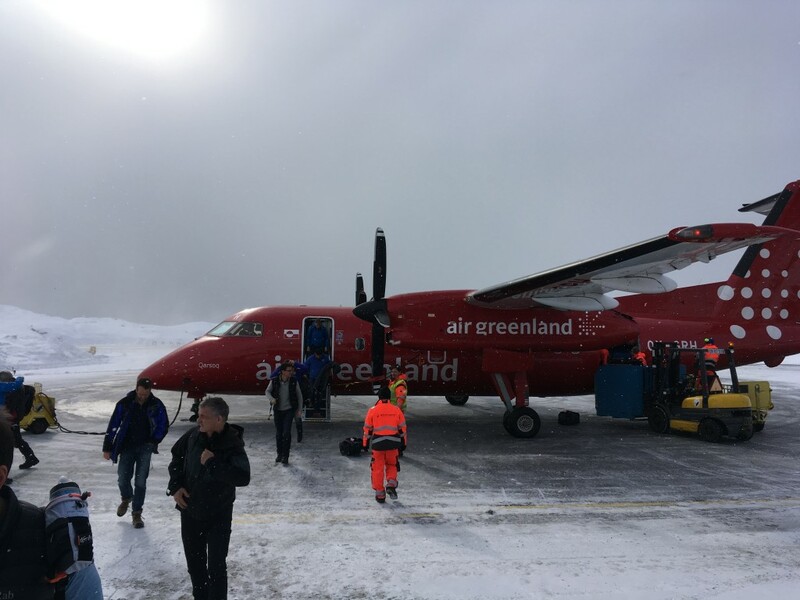 Johnny, Slatts, Stan and myself made our way to Greenland last week in a bid to complete the 2017 160km 3 Day Arctic Circle Race. 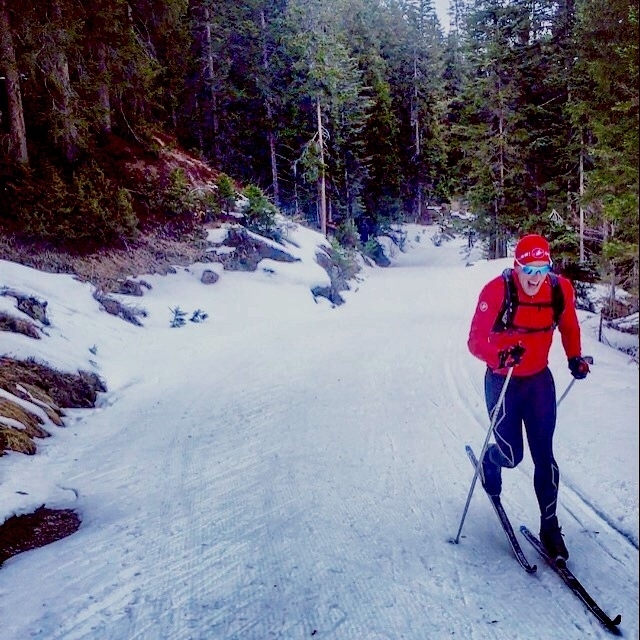 In its 21st year, the event billed as the ‘toughest Nordic skiing race in the world‘ had us touch down in Sisimuit with a mix of excited and anxious emotions. 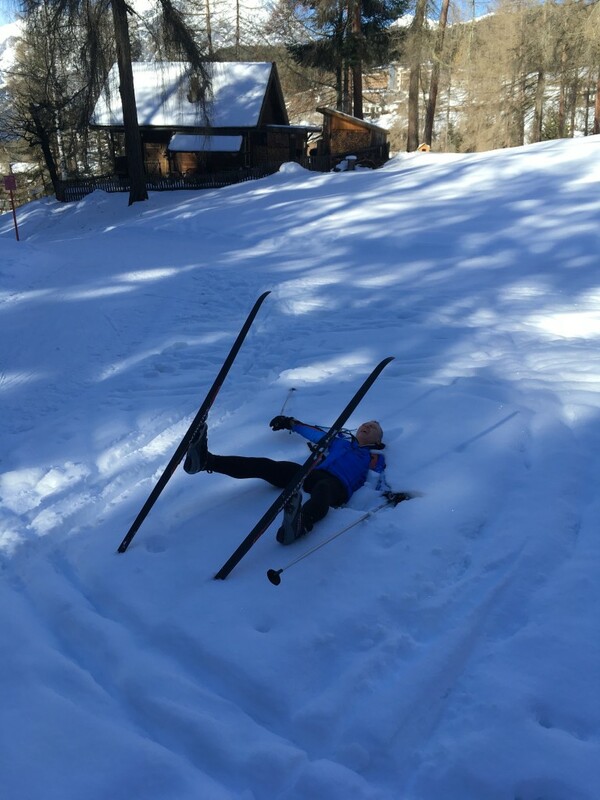 We arrived a few days prior to Day 1 of the Race which allowed us to find our somewhat inexperienced feet on our rental skis, doing laps of the local course. Before we had even made the start line, it was apparent that we were in the company of some very fine people, all with a like minded disposition and penchant to nudge the comfort zone. Going into battle, we felt like novices amongst professionals but never unwelcome. Our bags were packed and sent off on a snow cat to Base Camp whilst we headed to the start line, sheltering indoors until the very last minute to avoid standing still in -20 degrees. Conditions had turned overnight from perfect to less than average. The upshot of this meant the groomed trails had disappeared thanks to high winds blowing snow over the ski tracks. 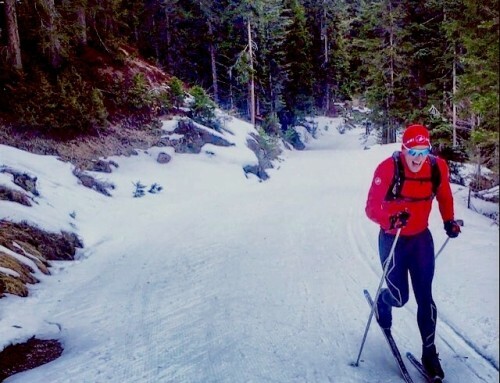 To the non Nordic Skier, this is akin to a train trying to move forward without rails. The realisation that we were racing in the ACR in such harsh conditions was surreal. We even questioned whether it was normal as we didn’t know any better. The field spread out and we often found ourselves completely alone in the wilderness with nothing but the occasional flag post to reassure us of our direction but we could have been on the moon, such was the feeling of isolation. Team O2e arrived after the best part of 9 hours on the mountain and any hopes of creature comforts were dashed as soon as the finish line was crossed. We had to unpack our bags, cook our food, change and prepare our tent. These tasks seem pretty simple but the temperature was never above -30 so everything was just much harder than it should have been. The four of us bedded down in our tent, fully clothed, each inside two sleeping bags. It was like being in a heated straight jacket whilst someone holds a block of ice on your face. Not to mention the sensation of a workman using a pneumatic drill next to your head. Oh, that was Johnny’s snoring. Morning couldn’t come quick enough and we each made the dash from tent to drying tent to get dressed into our race gear. The cold seemed to have dropped another few degrees but the weather was clear, sunny and spectacular. We forced freeze dried food down our necks whilst trying to rehydrate and willed the race start time of 1000 to come around quickly. 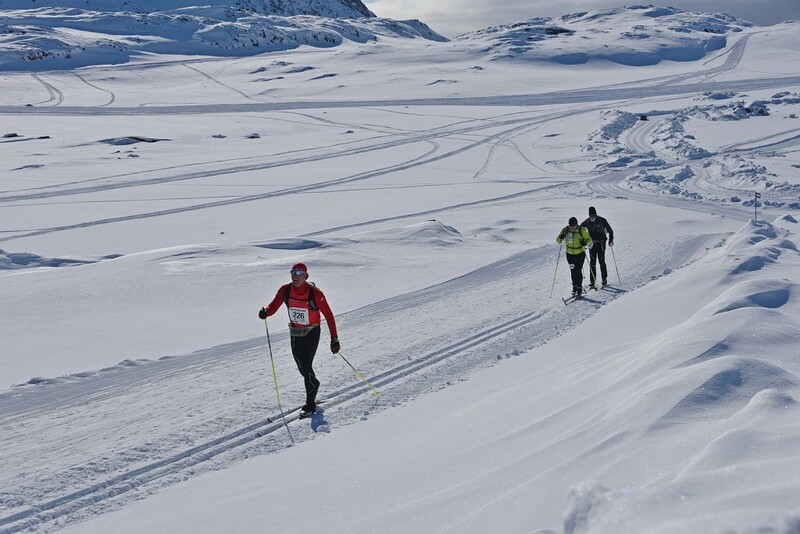 The second stage of the race is the longest (57km) and has two main features; Killer Hill (a 3km descent then back up) and a lap of a frozen fjord. Throughout the build up to the event, communication from the race organisers was pretty shoddy and this culminated in the lack of knowledge throughout the field of the cut off time of 1700 on Day 2. Scores of people were ejected from the race, including Johnny, but not for being incapable of finishing safely, just for taking their time. We refused to mount snow mobiles back to Base Camp and instead completed the course but with the potential of being kicked out of the race. 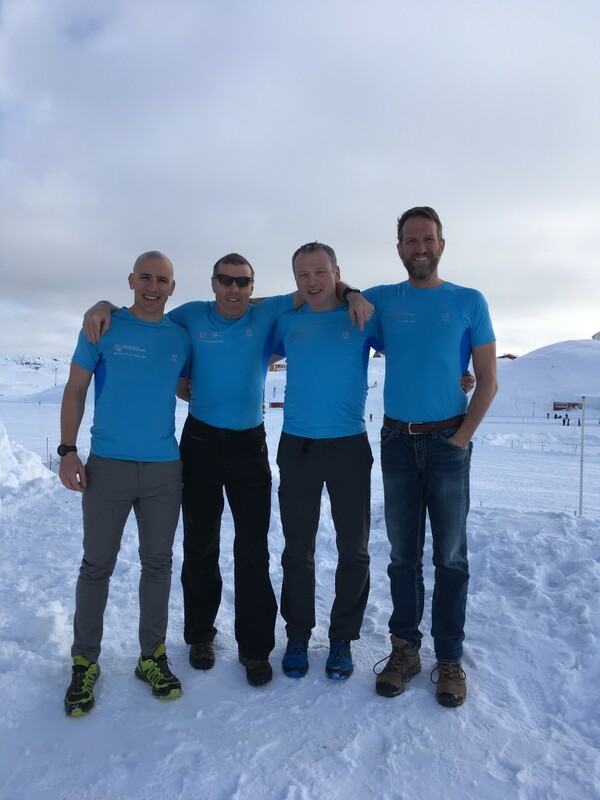 Controversy aside, Team O2e enjoyed a varied day of challenging climbs, 65% descents and long distance but the reality of another night in the tent only compounded a poor atmosphere around Base Camp that evening. Only Bill Fields’ stunning wild salmon jerkey could pick up our spirits – thanks Bill! Unzipping the tent to a majestic sunrise over Base Camp was a great way to start day 3 but, again, the temperature had dropped to hideous levels. Minus 35 degrees was a conservative reading and after packing up our bags and being the last to leave the comfort of the drying tent, we were on our way home. Irrespective of the clear blue skies and sun making it’s way up and over the mountain range, threats of frostbite were very real as the shadows over the course prevented us from warming up at all. After about 20km of the 50km final day, we entered into a notoriously cold stretch in a valley where conditions were dangerously cold. Any exposed skin and our extremities were suffering so we literally chased the sun that was peaking around the end of the mountain range several kilometres away. 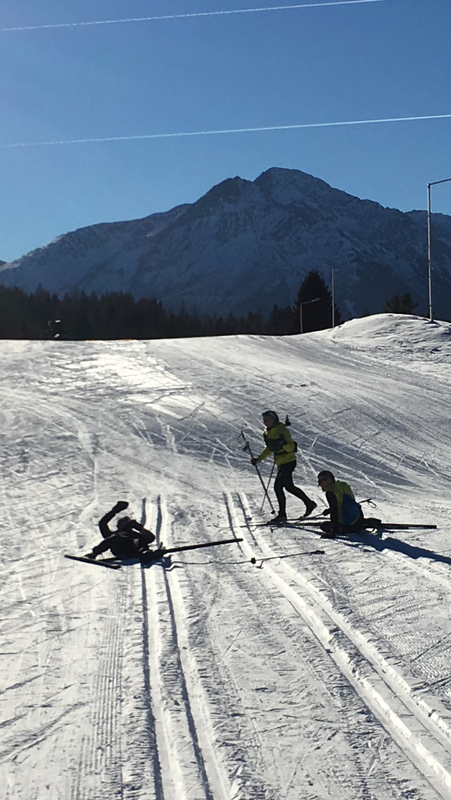 The reality of snapping a pole or getting injured in that stretch was a stark reminder to ski with care and avoid the very real threat to life in the event of an incident. 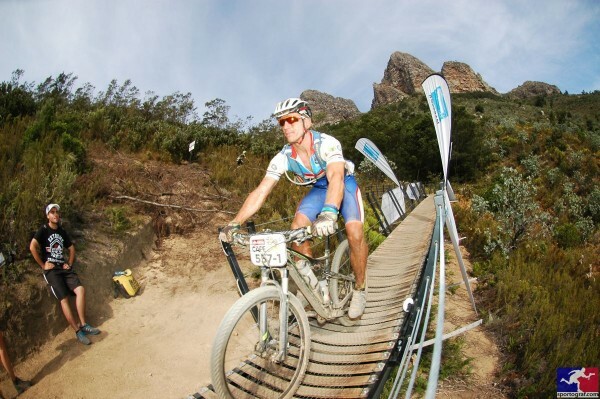 The rest of Day 3 was a chance for us all the drink in the surroundings and complete the race without any pressure. Chats of the next challenge occupied our time as we made our way through the final feed stations and on to a raucous finish line. 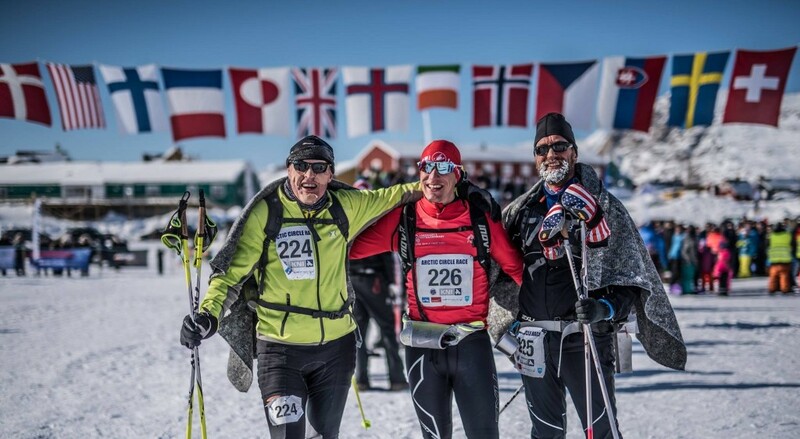 The reality of our 4 month journey was beginning to sink in with the flags of all the competing nations in the distance and an excited group of ACR volunteers waiting to congratulate an O2e Team who brilliantly masqueraded as Nordic skiers over the past 3 days. As Chairman of O2e and on behalf of Team O2e would like to thank everyone for all their kind words of encouragement and support plus the amazing generosity from those who have donated to our fundraising page, supporting our great charity and the children we support. ”I have crossed many finish lines in my life, but this is propably one of the best. 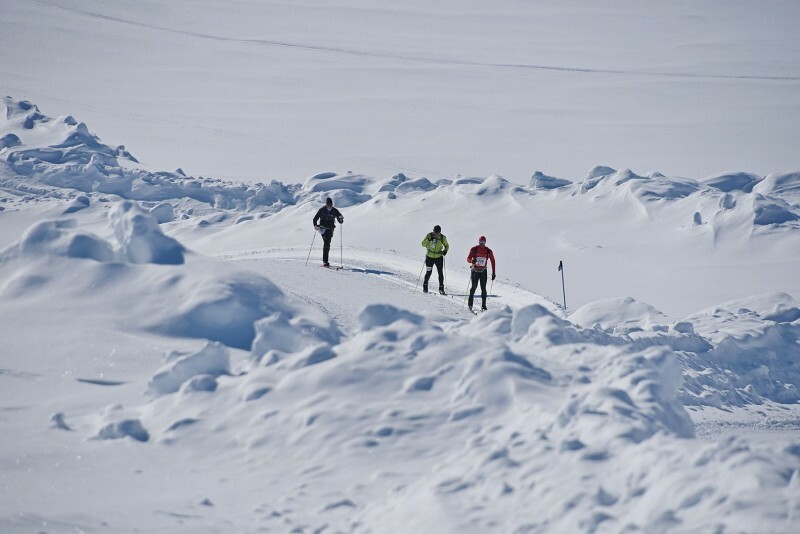 Being part of the Arctic Circle Race is a very very unique experience. The landscape is just simply sensational! 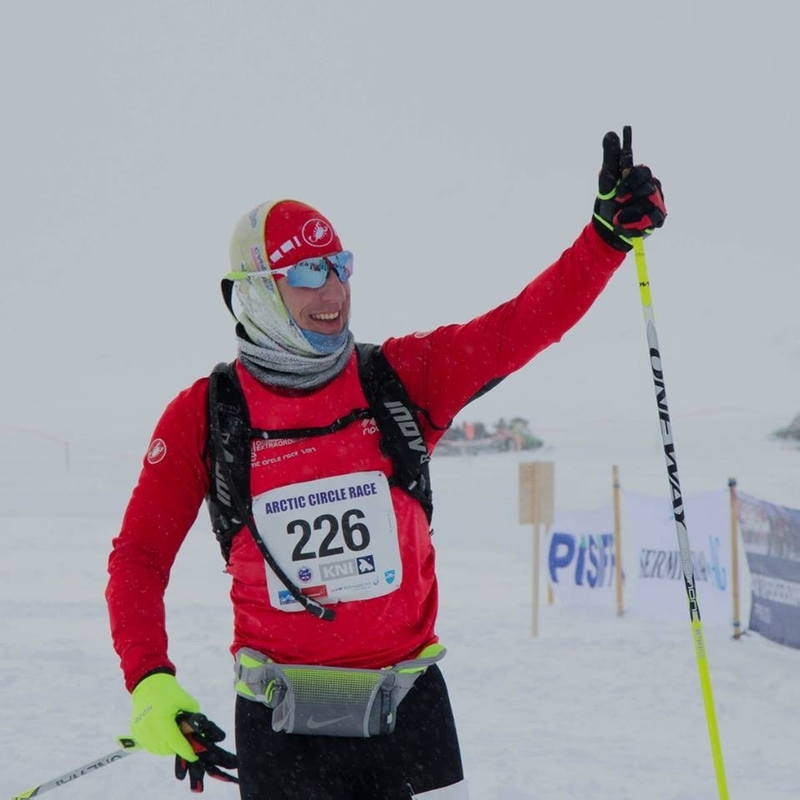 The challenge you face is like very few others on earth” Ollie Rastall from the UK was very happy as he finished the finish line after having skied 160 kilometres in three days. Well done Ollie on ACR! 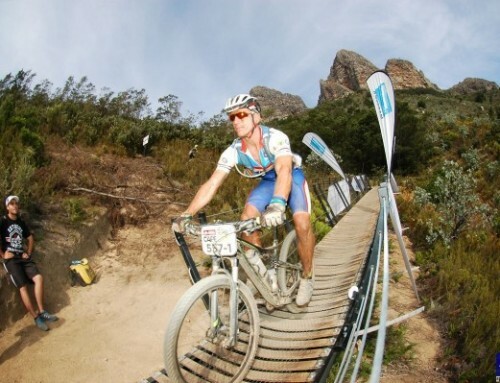 Not only accomplishing such an amazing feat- but making the event so enjoyable and fun for all the other participants! Thanks, Heidi! You very much did the same. The whole race loved your joie de vivre. See you soon for another adventure.